Once described by Nick Fisher on BBC radio as the Dalai Lama of angling literature, Chris Yates is one of the best loved and well-known angling writers in the UK. He has written a number of acclaimed books including Casting at the Sun, The Deepening Pool, River Diaries and Four Seasons. For Chris, fishing is much more than just a pastime; it is a way of life. He first discovered his passion for fishing as a young boy, when he came across an old man fishing for carp in a village pond. His fascination with the carp has remained and he once described this elusive fish as the grandmaster of chess, requiring great skill and concentration to outwit. However, the quiet, gentle, angling life has also been interspersed with bouts of madness. As a dabbler with explosives (in his youth! ), he succeeded in blowing a hole in a neighbour’s garden in Epsom! The event was covered in the local press. Chris was a founding member of the Golden Scale Club. He states that the members have in common a fondness for vintage tackle, overgrown carp ponds and musty old pubs. In June 1980, Chris gained the British record for carp with a 51lb fish, caught at the legendary Redmire Pool in Herefordshire. But Chris is not a single-specimen angler. He enjoys fishing for all kinds of fish. 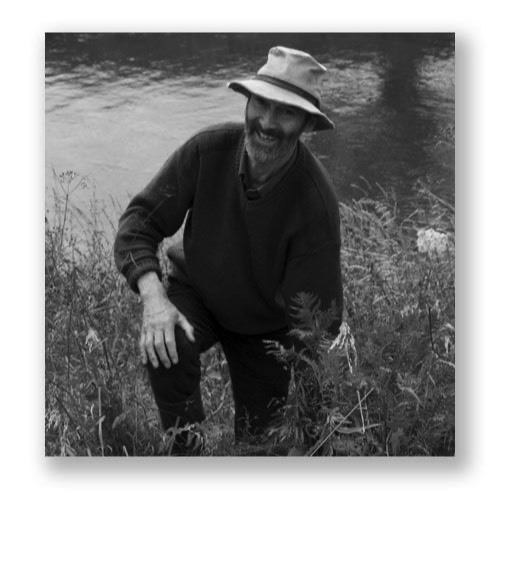 His books The Deepening Pool and River Diaries reflect his zest for barbel, and more recently, he has been on the trail of the perfect perch. He has also edited two anthologies of great angling writing: Shadows and Reflections and The River Prince. In 1993, he was brought to the attention of the general public when he appeared in the BBC TV series A Passion for Angling and since then has made several broadcasts on BBC radio. In addition to writing and fishing, Chris is also well known for his photography and tea-drinking. In 1996, with Jon Ward-Allen, he co-founded Waterlog magazine - a proudly eccentric angling magazine with the objective of providing a good read for anglers who are not only passionate about their fish, but also about the environment in which they fish. His book The Waterlog Years is a compilation of his best Waterlog writings from Issues 1-50. Chris has four children and lives on the Wiltshire/Hampshire border, not far from some great carp lakes and one of his favourite haunts, the river Avon.